RAPAPORT... Sales of jewelry, watches and other luxury items in Hong Kong rose in January, despite the Chinese New Year falling out a month later than last year, according to the municipality’s data authority. 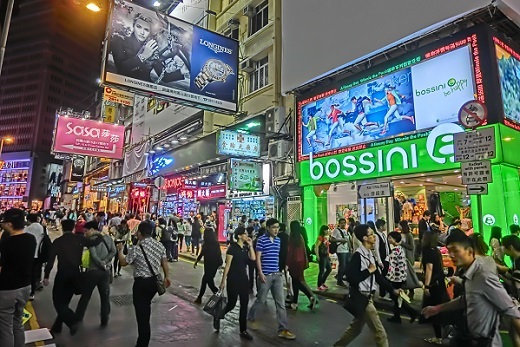 January retail sales for the category increased 10% year on year to $1.03 billion (HKD 8.07 billion), Hong Kong’s Census and Statistics Department reported last week. Total retail sales for all sectors jumped 4.1% to $5.73 billion (HKD 44.88 billion). The lunar New Year fell on February 16 rather than January 28, which was when the holiday occurred in 2017. Unlike last year, consumers had the first two weeks of February to complete their shopping for the holiday. Even so, January saw strong retail sales, a government spokesperson said. In 2017, the total number of tourists arriving in Hong Kong rose 3.2% to 58.5 million, according to the Hong Kong Tourism Board. Professional-services firm PwC expects 4% to 6% growth in the municipality’s retail sales in 2018, Reuters reported last week, while Hang Seng Bank predicts a 4% increase.